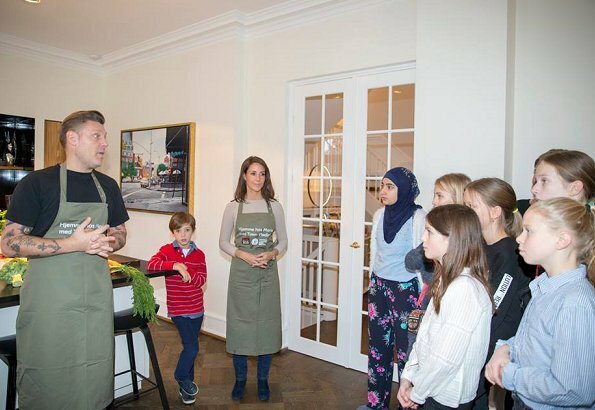 On January 18, 2018, Princess Marie of Denmark invited school children to her house in Klampenborg to give a lesson regarding cooking and prevention of food wastes. 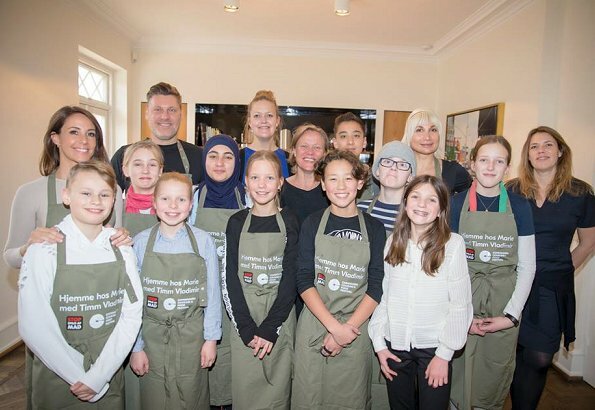 Ten children were selected from 6th grade of Helsingor School. 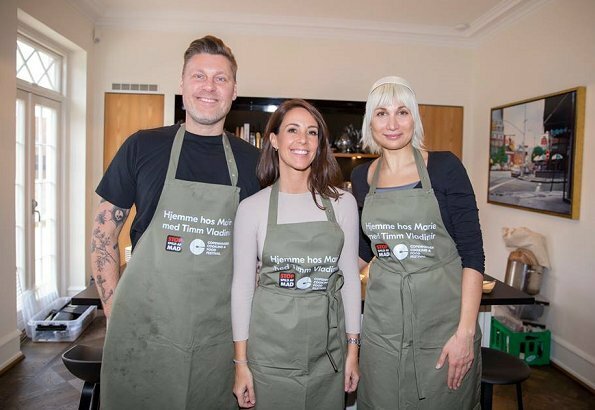 They cook in Princess Marie’s kitchen with chef Timm Vladimir and Selina Juul, the founder of Stop Spild Af Mad, an organisation fighting against food waste in Denmark. 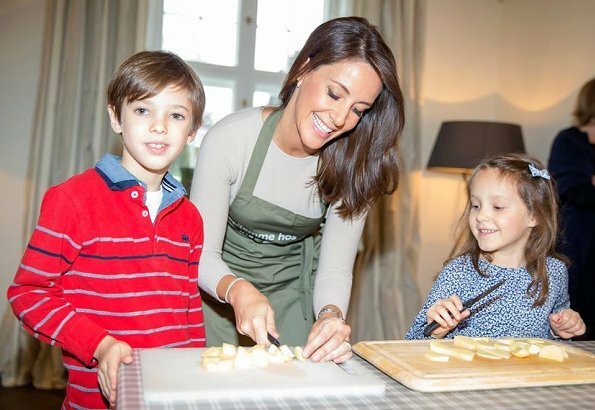 Princess Marie's two children Prince Henrik and Princess Athena also joined in the cooking lesson. 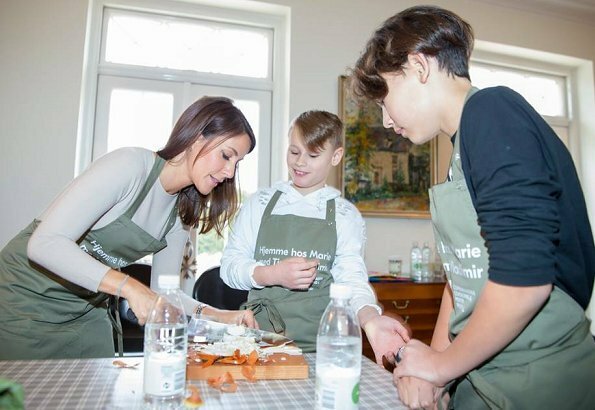 Danish Princess Marie is the patron of Copenhagen Cooking & Food Festival since 2011 and this year's theme of the festival is food waste. 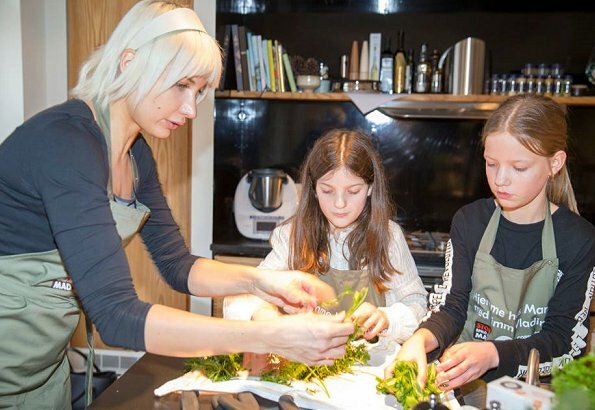 "how to struggle with food waste"? Seriously?? Could it be a bad Google translate? She is a spokesperson for not throwing out food/to avoid waste of food. She wants people to use leftovers instead of just throwing it out. 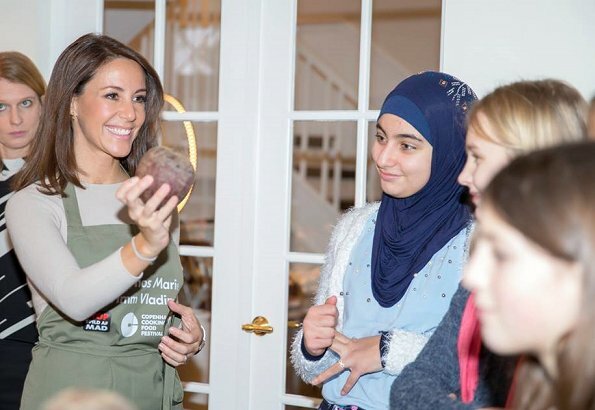 Two comments: 1) that is a potato in her hand which is easy to waste during peeling. 2) When my brother's then girlfriend, now wife, offered to help in the kitchen, she wasted a lot of the green pepper, what some call a bell pepper. 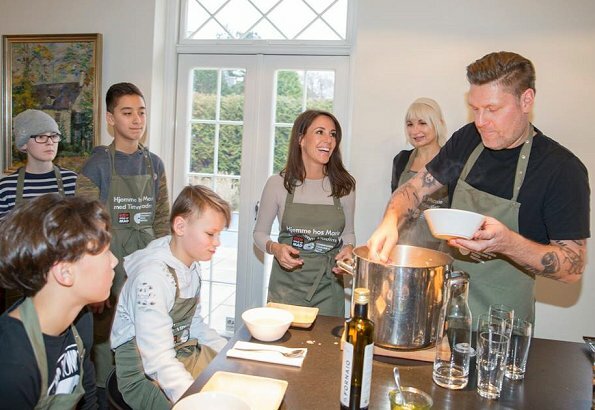 Its good to teach kids how to do things well.